What is YOUR reason for choosing cremation? The reasons for choosing cremation abound. In addition, cremation allows for a wide range of personally meaningful options for final disposition of our mortal remains which are simply not otherwise available – sea scattering, partial burial or interment in a cemetery and keeping the urn at home are but a few. Enlightened consumers are increasingly changing their belief systems and feelings towards the traditional funeral. Cremation is not only an alternative choice to consider, it is an environmentally responsible choice. For these and countless other reasons, it is not surprising that cremation is the choice for over 40% of Oklahoma residents. And more people are choosing Cremation Care Centers to handle their arrangements than any other provider in Green Country. Whether you live in Broken Arrow, Bartlesville, Bixby, Okmulgee, Sapulpa, or Claremore, we can handle your services simply, with dignity and very affordably. All without the need to involve a local funeral home. 1. Simple cremations are what we do. While most traditional funeral homes treat cremation as a side line, we do not. Our simple cremation charge is usually 20% to 80% less than your local funeral home. We provide our services throughout our service area for one low price. So, it doesn’t matter whether you live in Broken Arrow, Bartlesville, Bixby, Okmulgee, Sapulpa, or Claremore, we can carry out your cremation wishes simply, with dignity and very affordably. 2. We own and operate our own crematory. 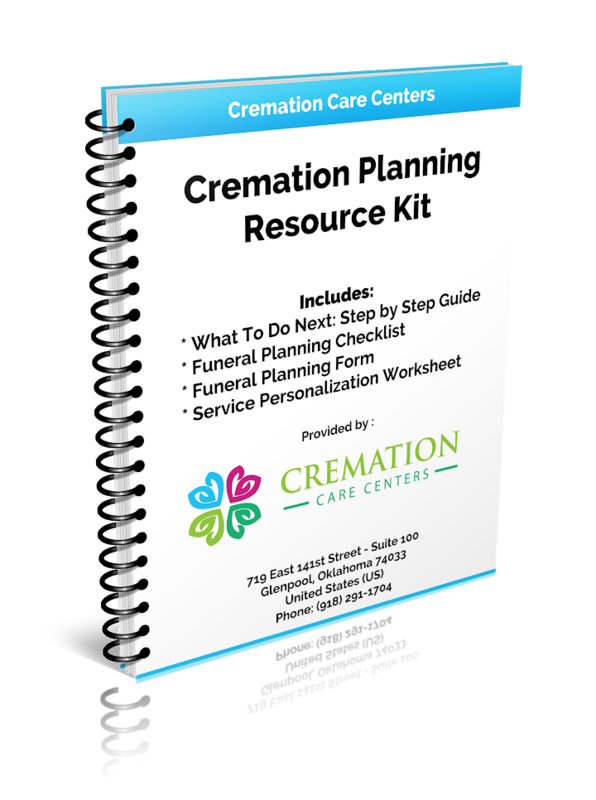 You may be surprised to learn that most funeral establishments do not operate the facilities in which the cremation services are provided. The actual cremations are often subcontracted out to a third party provider in another town or state. The funeral establishment has little or no control over the crematory’s operating policies and procedures or who performs the cremations. By contrast, we own our crematory, which are managed by our fully licensed and highly trained personnel, in fact we operate the only family-owned crematory south of 31st Street in Tulsa, OK all the way to Okmulgee. Our cremation equipment is state-of-the-art and meets or exceeds every state and local operating requirement and standard. 3. We have the strictest set of operating policies and procedures. We have developed the most rigorous set of operating policies and procedures in order to maximize our level of service and minimize the potential for human error. Positive identification of the deceased is assured throughout each stage of the cremation process using a unique computer based tracking system which records the entire cremation process. We require licensed funeral professionals to oversee the operation of our cremation equipment at all times. None of these safeguards are required by law and no other cremation facility in the state currently comes close to our rigid operating procedures. However, with the responsibility you have entrusted us with, why should you expect anything less? 4. We provide options not available from anyone else. From our urn selection room displaying over 40 urns and keepsakes, No one has provided as much for the varying needs of the cremation customer as we have. We’ve designed special facilities for private viewing before cremation takes place and can easily accommodate the wishes of the family to be in attendance at the beginning of the cremation process.